Mv. 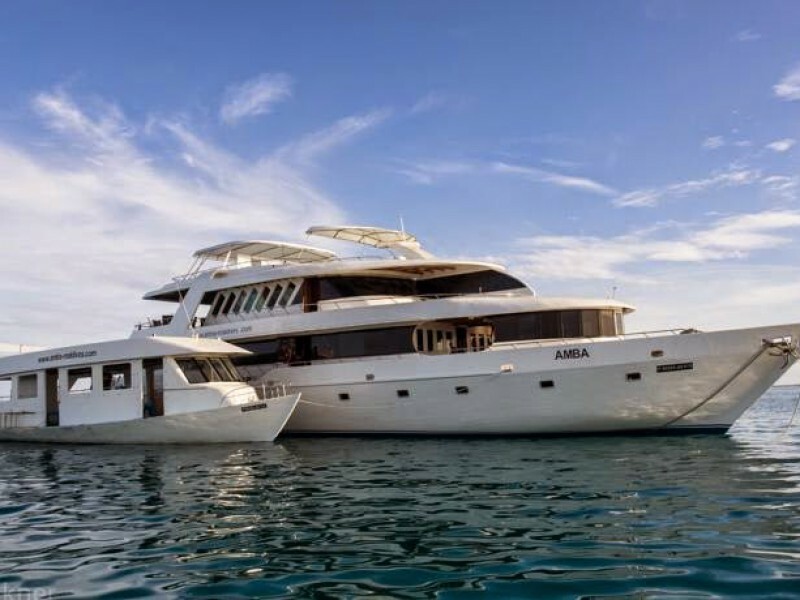 Amba was the first and the only diving liveaboard which operates in the areas of Haa Alifu and Haa Dhaalu atolls (North of Maldives) and gives the divers a feel of the untouched underwater paradise. Mv. 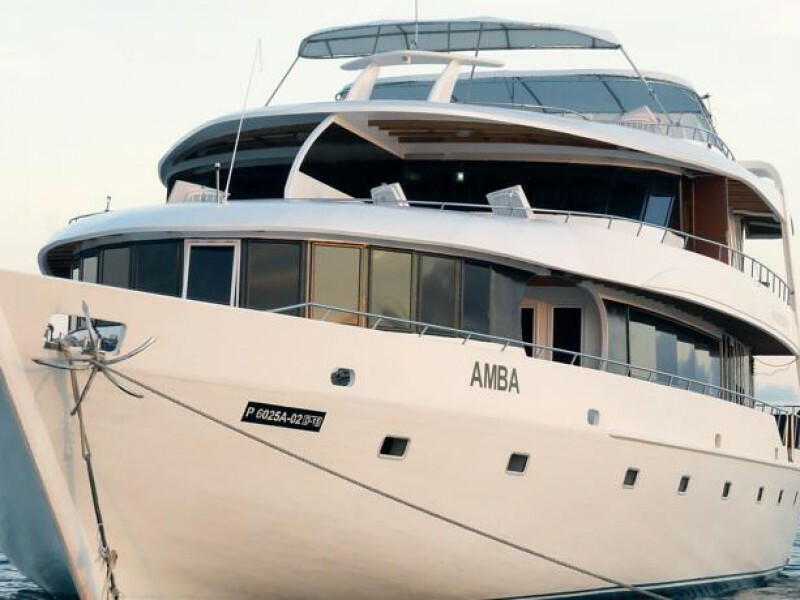 Amba is an affordable luxury class liveaboard with 10 cabins all with air conditioning and en-suite facilities. Mv. 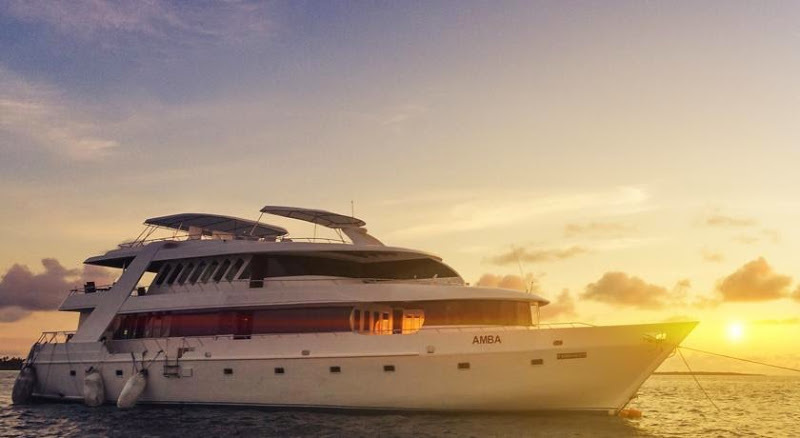 Amba starts its diving trips from Hanimaadhoo Island in Haa Alifu-Atoll. The transfer from Male’ International Airport to the Domestic Airport on the island is by air, using Dash-8 aircrafts ( a half an hour flight). 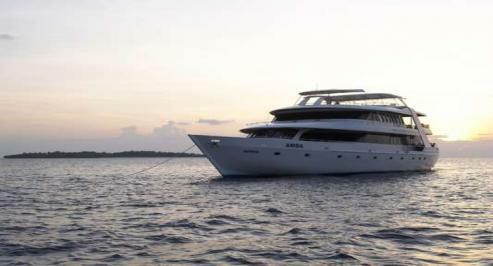 The liveaboard is ideal to travel at rough sea. To prevent a rolling of the ship at rough sea, we have build a stabilizer system directly in the hull. 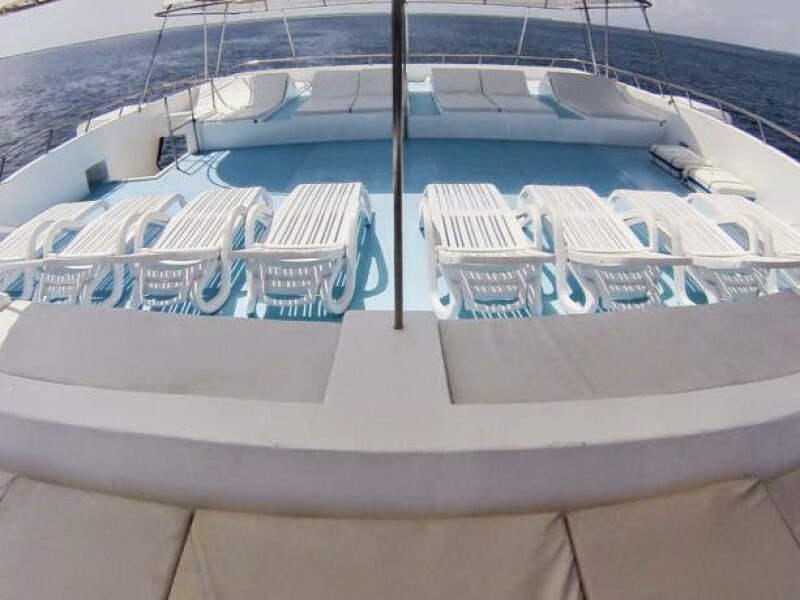 15 tons of additional weight is added at the deepest point of the ship and distributed over the whole length, will provide you a smoother ride at rough sea. 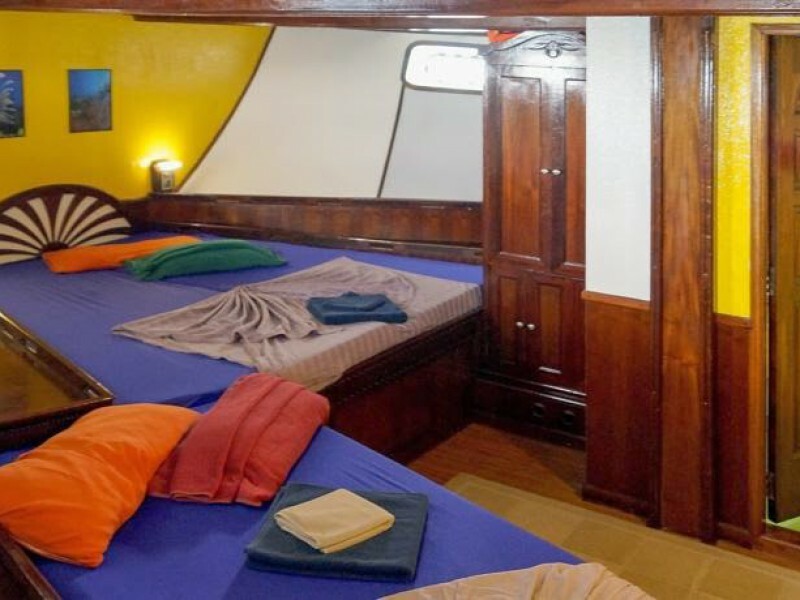 The ship is provided with 9 cabins and a 1 suite, air condition, toilet and shower. 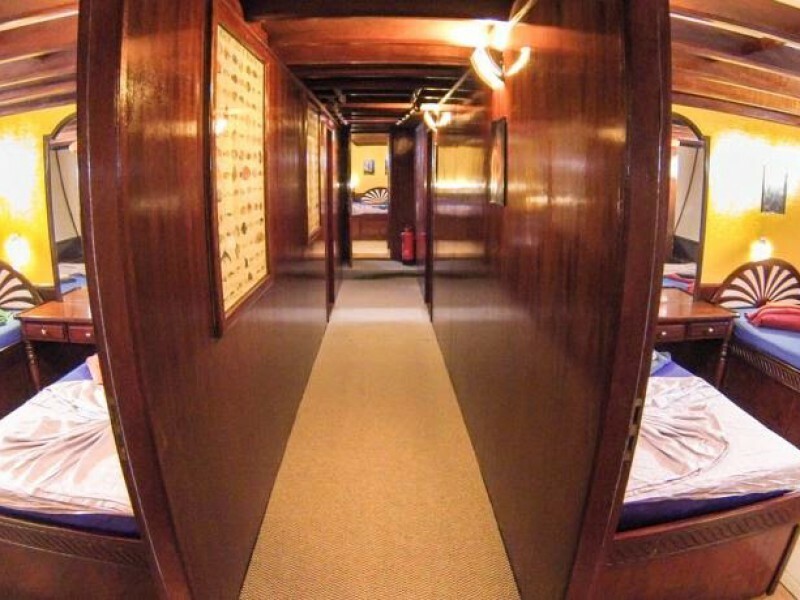 7 cabins are located on the lower deck. 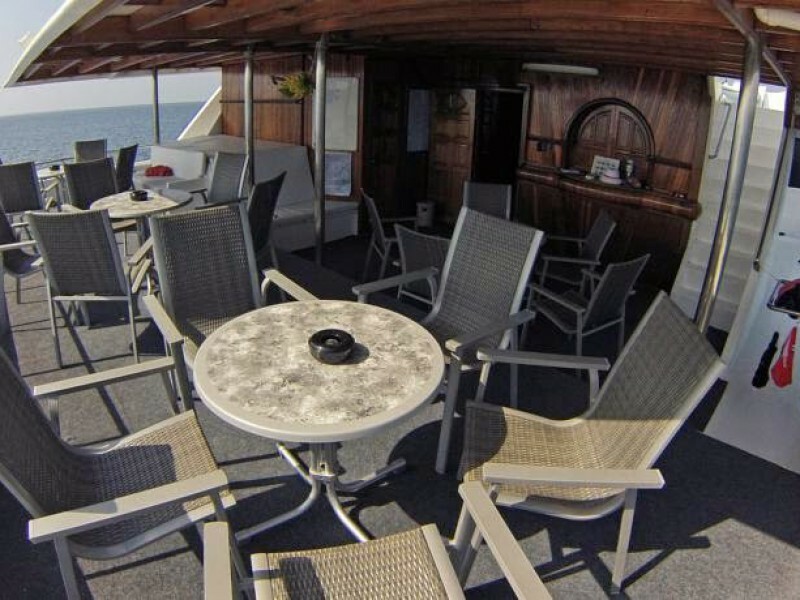 2 cabins and the suite are located in the upper deck. 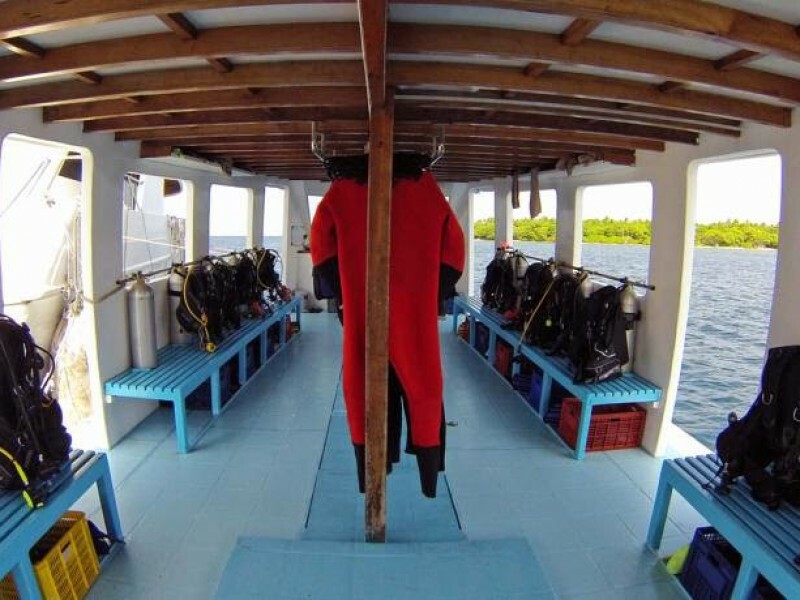 Diving-Dhoni: The diving-equipment always stays on the diving-dhoni. 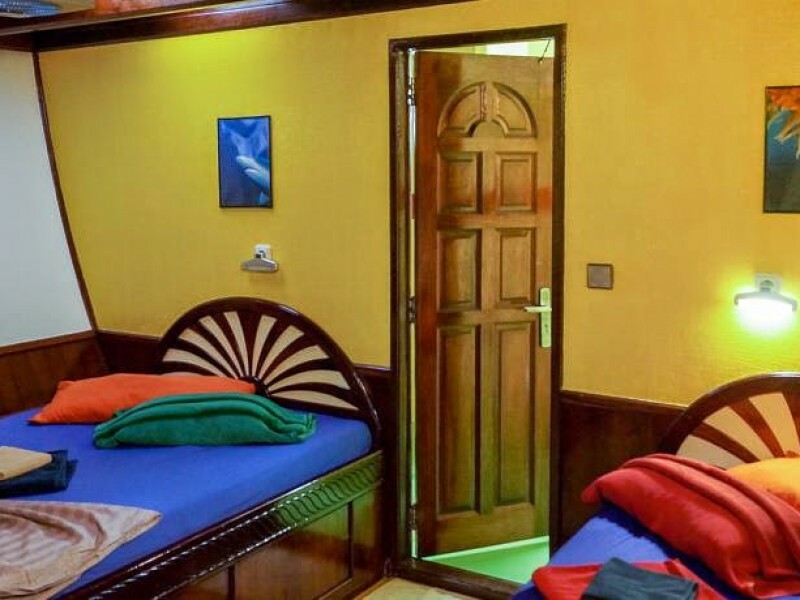 Fire alarm in all cabins/rooms. 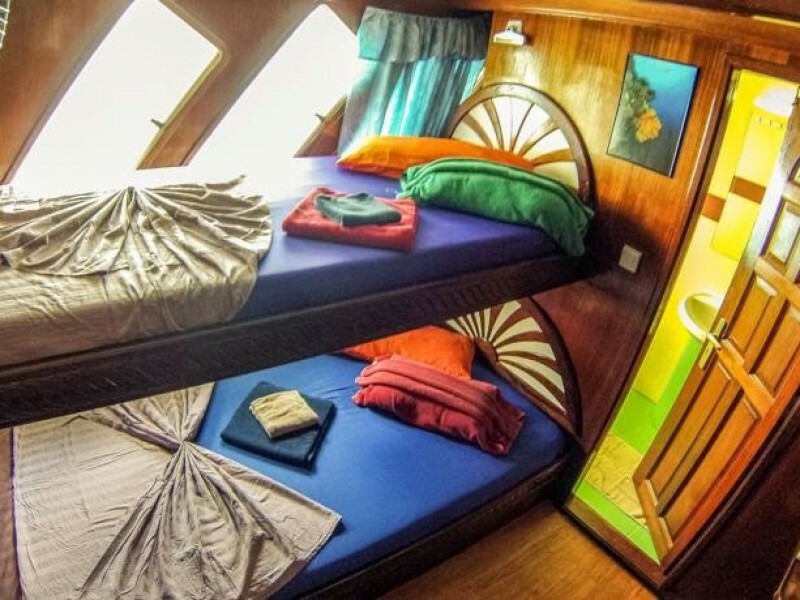 7staterooms (13-16 sqm / 140-172 sq ft) each stateroom and bathroom has a port hole approx. 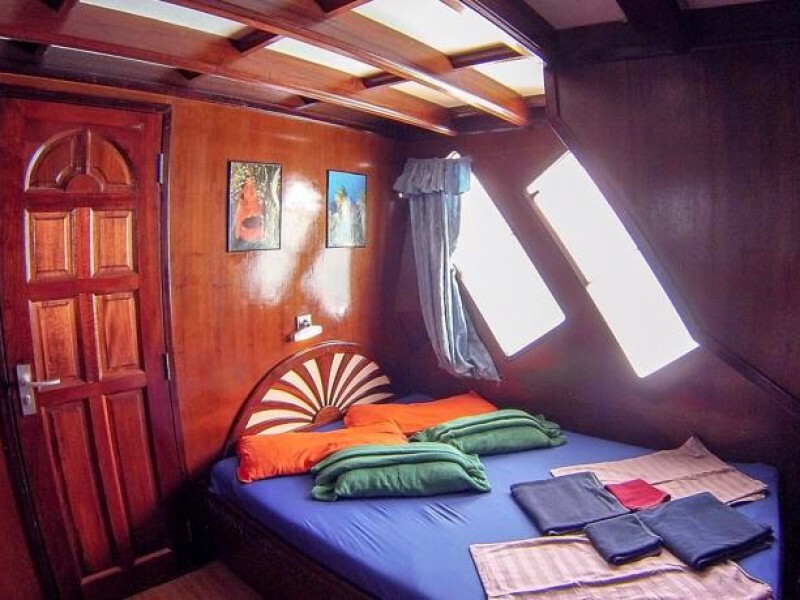 30×50 cm (12 in x 20 in), in addition to the port hole each stateroom has an additional ceiling window. Well equipped maintenance room and part storage. 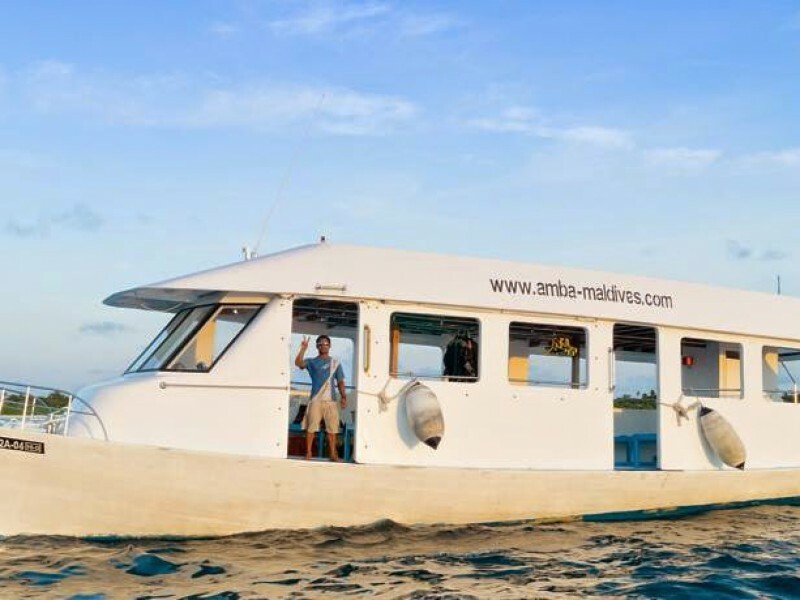 Main engine 1 Volvo Penta 375 PS turbo diesel, 1 R/O system, 3 Panda generators, 1 air conditioning unit (temporarily shutdown possible), hot water tank solar powered, fresh water tanks and Diesel tanks. 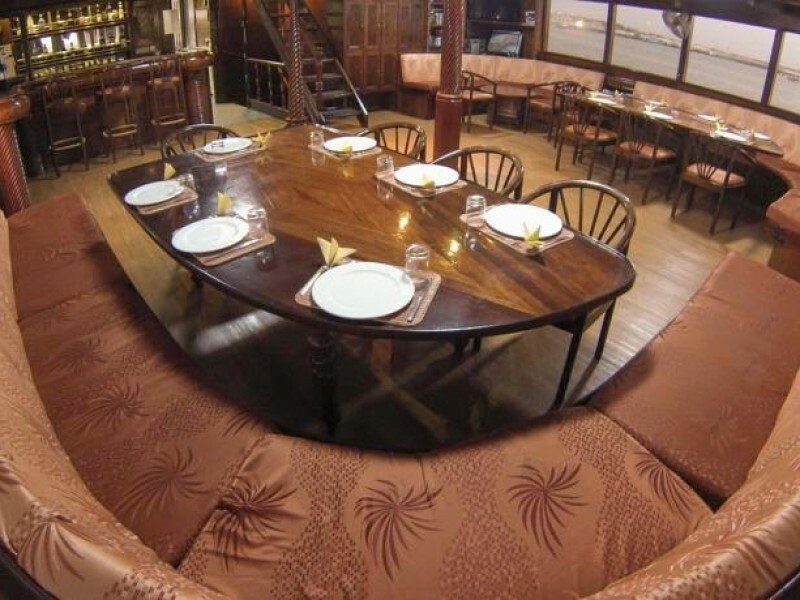 Main salon with TV, Stereo, DVD, telephone, board games, library, battery charging station (24 h. 220 Vac Power), bar, covered deck (60 sqm / 645 sq ft), coffee shop, modern Nirosta-kitchen ( 20 sqm / 215 sq ft), storerooms, captain and crew areas. 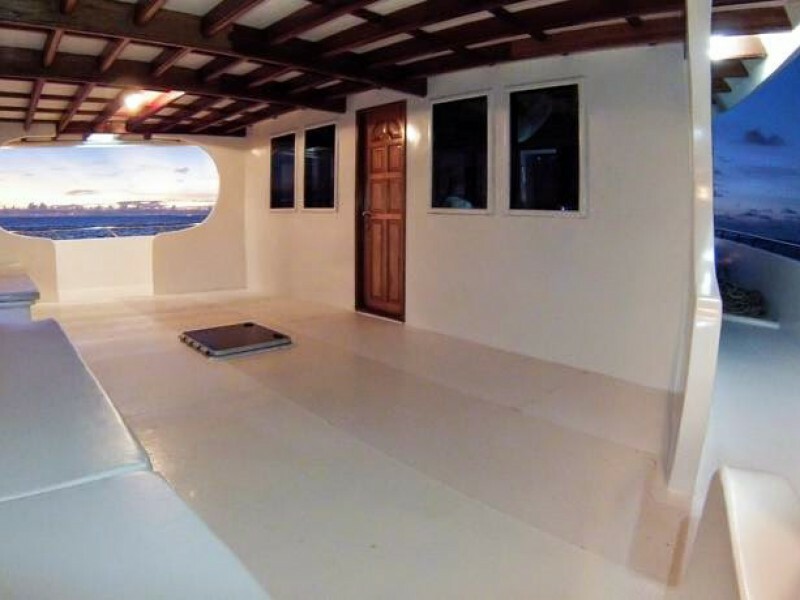 1 Luxury cabin (12 sqm) with a private sundeck 20 sqm (215 sq ft). 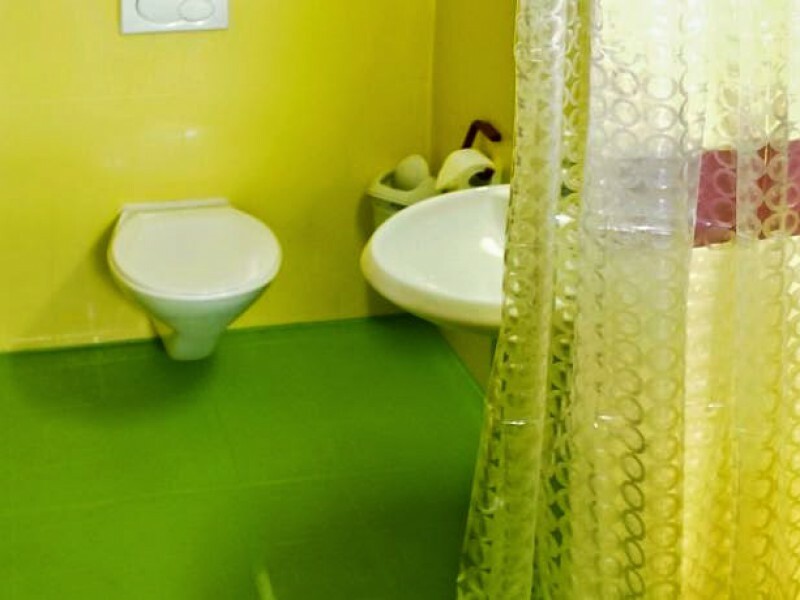 Covered area (60 sqm / 645 sq ft).